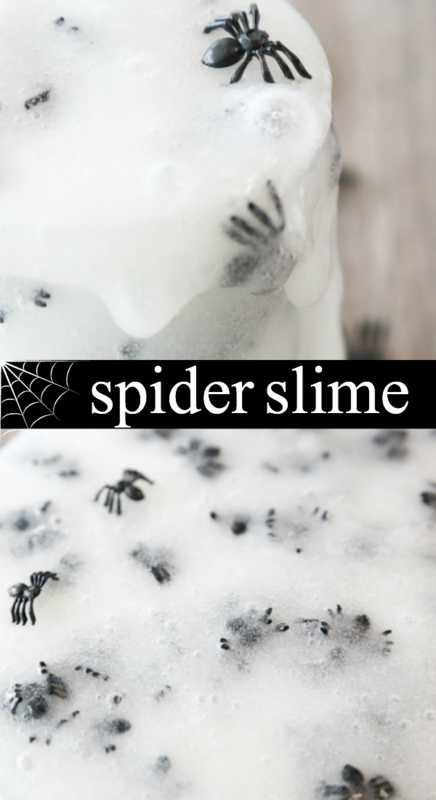 Spider Slime – the perfect, creepy crawly slime for Halloween. 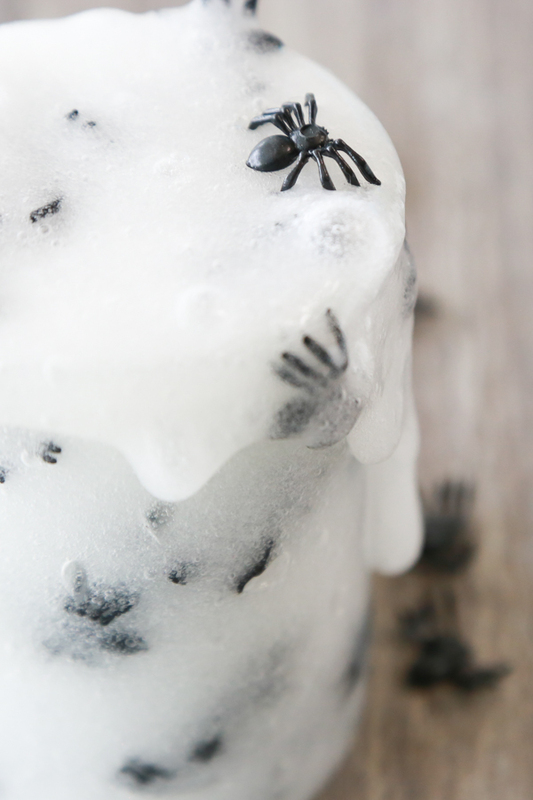 This easy to make Spider Slime looks a bit spooky, but it’s so much fun to play with. 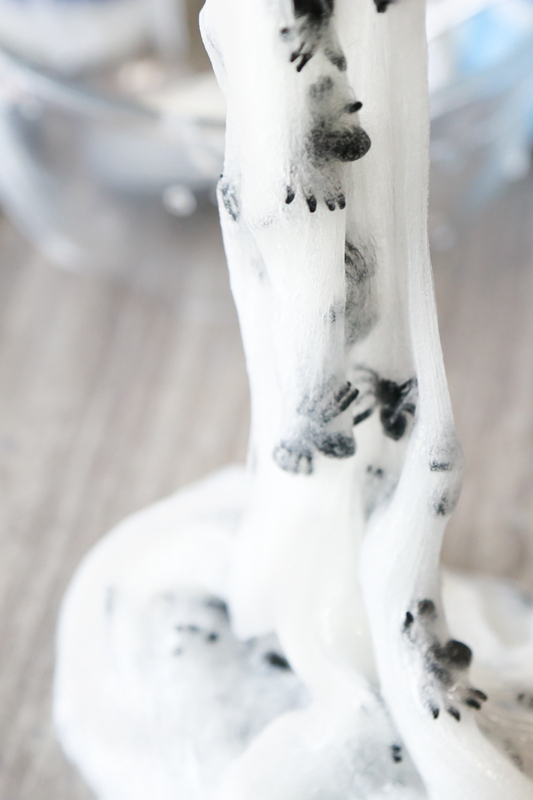 If your children love playing with slime as much as mine do, then they’ll love this super easy to make Halloween Spider Slime. Halloween is right around the corner and it’s time to put all the creepy, spooky things out on display. If you’re feeling a little crafty and want to get your DIY on, make this Painted Spider Vase or Spider Web Vase. Both are perfect options this Halloween season. Lets get back to this spooky Spider Slime though. 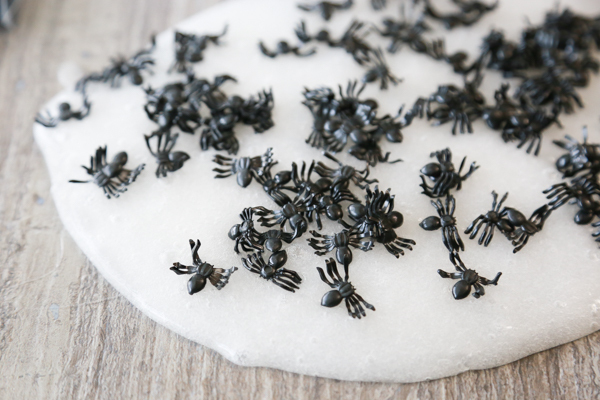 With just 4 ingredients, you can make this Halloween Spider Slime for hours of fun sensory play for your children. 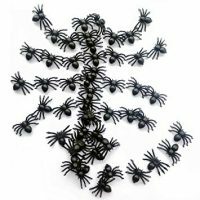 All you’ll need to make this creepy crawly Halloween slime is clear glue, saline solution, liquid starch, and little plastic spiders. If you don’t have clear glue, white glue will work, I just like the way the clear glue looks better. It reminds me of the fake spiders webs you can buy to decorate for Halloween. Tip: If you’re making a lot of slime with your children, to save money it’s better to opt for the gallon-sized bottle of glue. Since it’s hard to find at stores, I recommend buying it from Amazon. You can use any saline solution you want for this Spider Slime, but since you’re not actually using it for your eyes, I recommend going with the cheapest option you can find. I haven’t really found that one brand works better than the other. Scroll down to the bottom of this post for a printable tutorial. 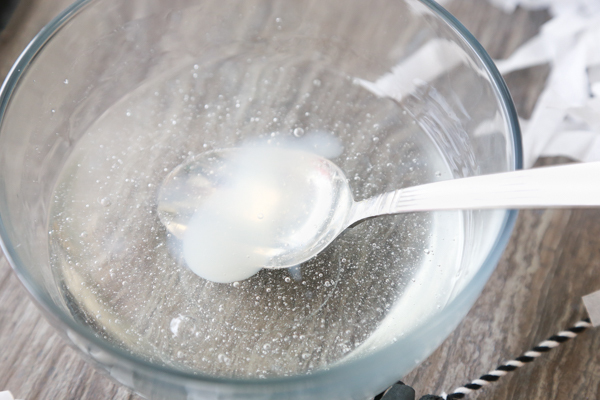 Pour 1 cup of clear glue and a tablespoon of saline solution in a bowl and stir. As you stir the slime will start to form. 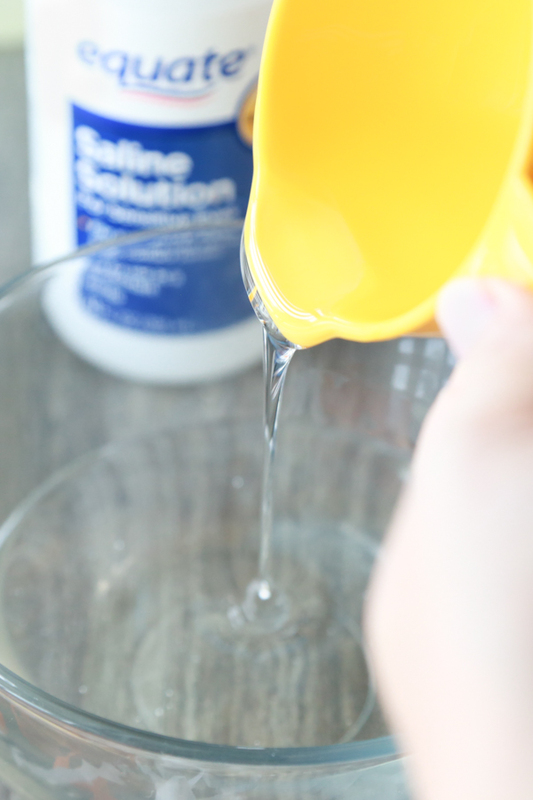 You may need to add more saline solution to make it less sticky. 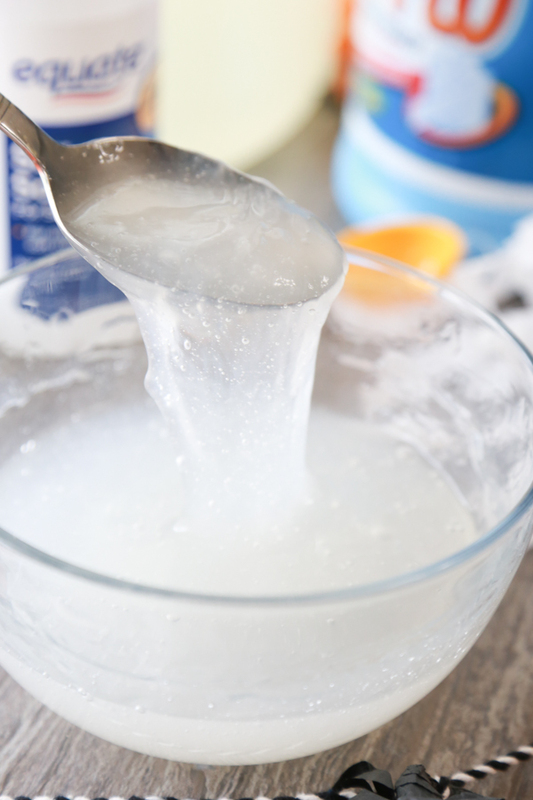 Since making slime isn’t an exact science and ingredients aren’t all created equal, the amount you need will vary. Next, add a tablespoon of liquid starch to the slime. When you add the liquid starch the slime will become cloudy. That’s totally normal. 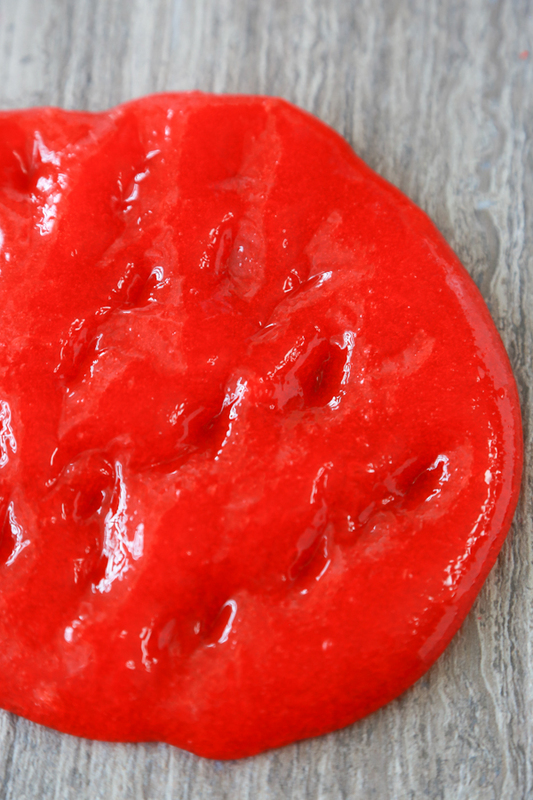 The amount of liquid starch you’ll need will vary on how sticky you want your slime to be. 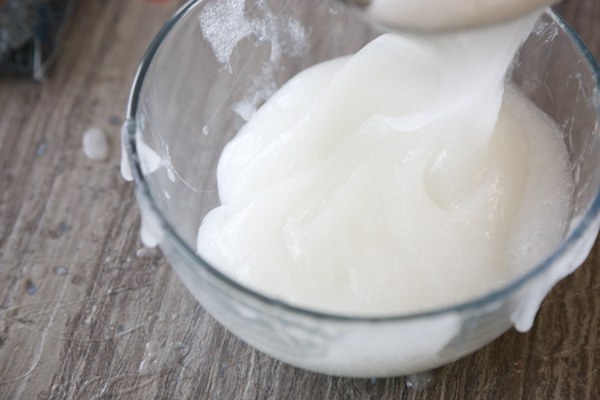 The more liquid starch you add, the less sticky your slime will be. I recommend starting with just one tablespoon, work that in, and then see if you need more. Remove the slime from the bowl and knead with your hands. Once your slime has reached the desired consistency, then you can add your spiders. I added 100 spiders to this batch and I like the ratio of slime to spiders. Spider Slime is so much fun to play with. 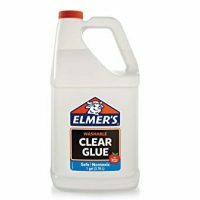 I like using clear glue for this slime, but feel free to use white glue if that is all you have on hand. While I like the cloudy clear color of this Halloween slime, feel free to add some food coloring if you want. The awesome thing about slime is it’s all personal preference. Make it how you want it. Don’t forget to pin this Spider Slime to your Halloween board on Pinterest so that you don’t lose it. 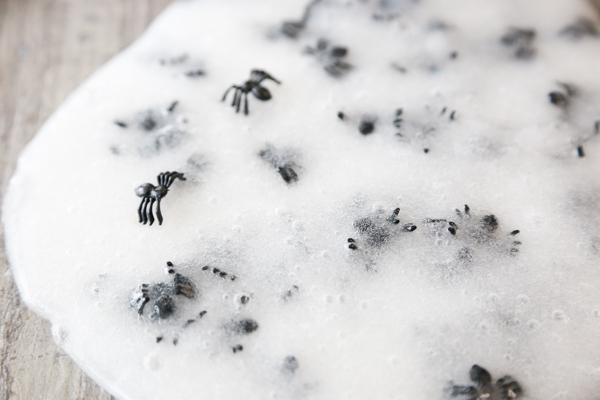 Make a spooky Spider Slime with just a few ingredients. 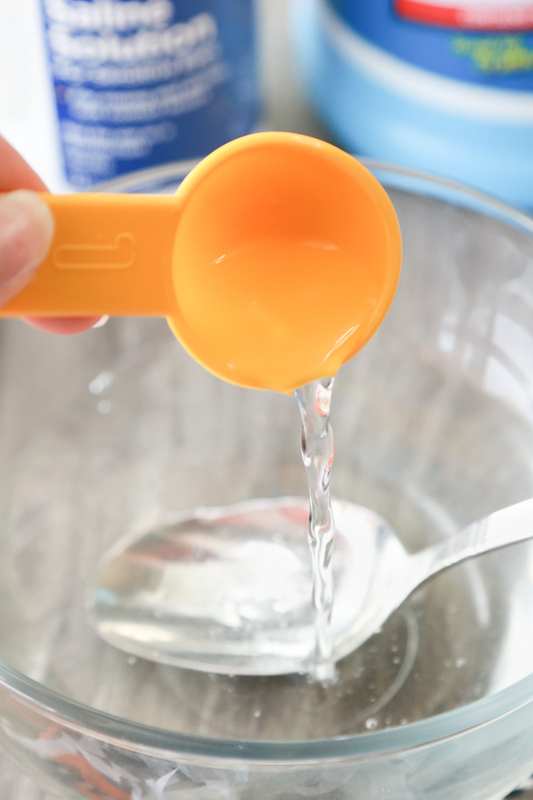 Pour 1 cup of clear glue and 1 tablespoon of saline solution into a bowl and stir. Add in liquid starch 1 tablespoon at a time to thicken the slime up some. Make sure to incorporate the liquid starch completely between each addition. 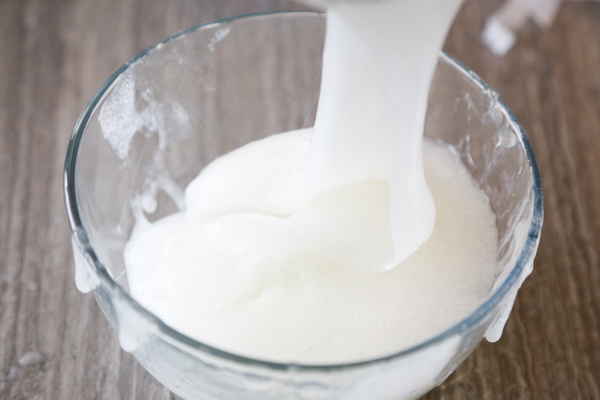 Keep adding liquid starch until you reach the desired consistency. Once the slime has formed and sticks together when stirring, remove from bowl and knead with your hands. 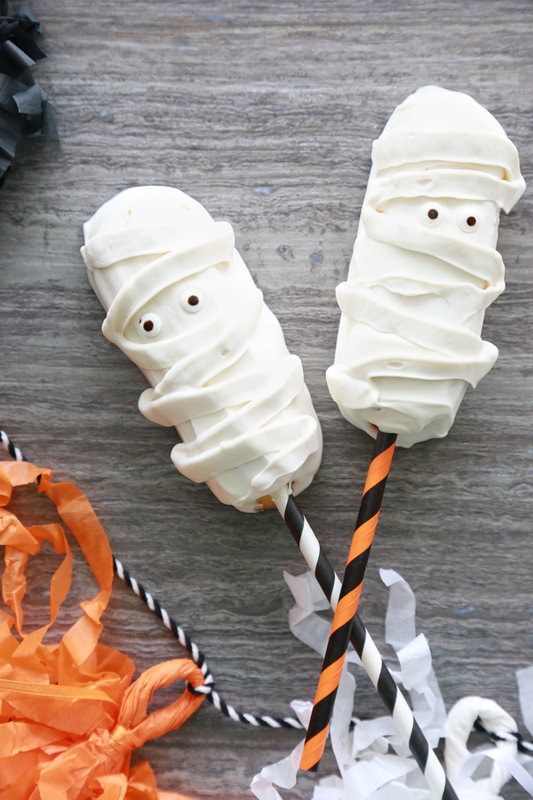 Keep kneading until the slime is no longer sticking to your fingers and hands. You may need to add in more liquid starch, but be careful not to add too much. 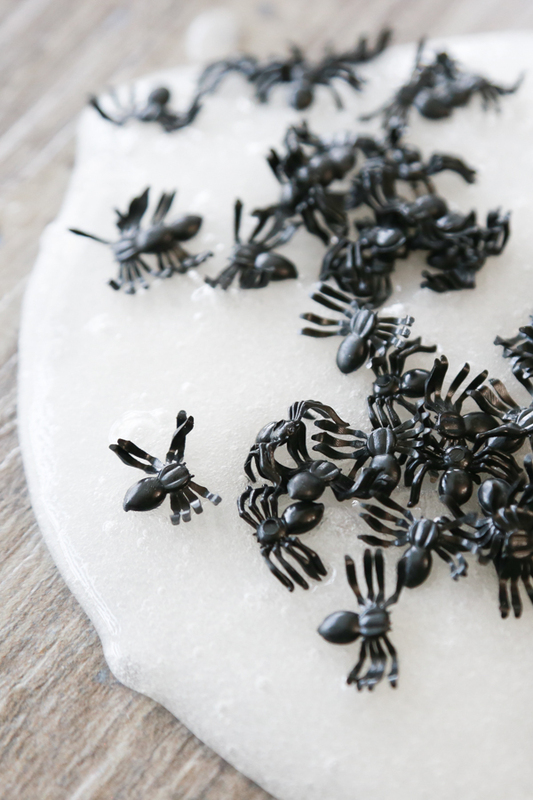 Once the slime is done, add in your plastic spiders and knead to incorporate the spiders throughout the slime. 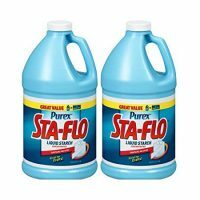 The liquid starch will cause your clear slime to become cloudy. It's okay because it makes it look like the spiders are in a spider web.